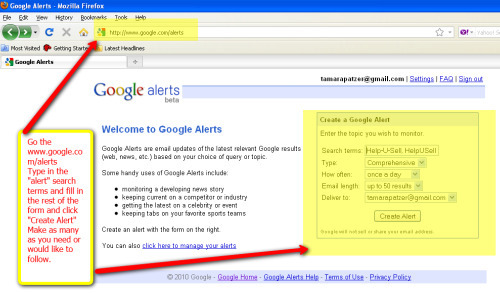 The following are some examples of what you should set “Google alerts” for in your market area. Industry related keywords (your market area plus the words foreclosure, REO, short sales, etc. You can add to the list, but as you can tell, all of these alerts can yield valuable information for use in your market planning and advertising as well as providing you with a constant source of blog content and Facebook/Twitter fodder.